This course is specifically designed for qualified practitioners of Acupuncture and Traditional Chinese Medicine. 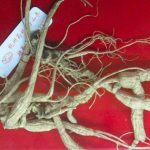 Practitioners must have a good theoretical grounding in TCM and wish to expand their range of therapeutic options to include Chinese Herbal Medicine. The Dip.CHM is open to graduates of the ICTCM holding a Lic.TCM and other well qualified Acupuncture TCM practitioners with a thorough grounding in all the underpinning theory of TCM who have successfully completed an Acupuncture clinical programme that is on a par with the Licentiate. Good theoretical knowledge of TCM. Clinical competence in TCM diagnostics. It should be noted that we cannot consider applications, for any of our part-time courses, from overseas students needing a Student Visa. First read the detailed information about the Chinese Herbal Medicine programme. Then, complete the CHM Application Form, and send it, with a covering letter and passport-sized photograph, to the College Registrar either by post or as email attachments. As much detail as possible about your reasons for wishing to apply. Honest and inclusive information about yourself including your educational, medical and occupational background. In particular we require full details of your prior Acupuncture and TCM qualifications, and experience as an Acupuncturist or TCM Practitioner to date. The name, postal address, email address and telephone number of 2 people who know you well and can vouch for your character, your current TCM qualifications and training and can comment on your suitability to undertake further education and training (postgraduate Diploma or Certificate level). Proof of your qualifications and professional status. The College has an equal opportunities policy. 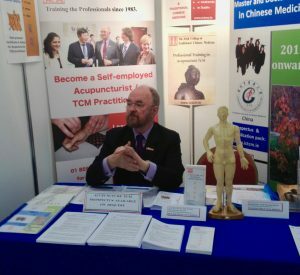 People who study Chinese Medicine at the Irish College of TCM come from all walks of life, from many different countries and from a wide variety of backgrounds. Each person is considered on his/her own merits and according to whether they meet the requirements of entry to the programme set out above. References are taken up for all applicants and interviews are generally offered to those who meet the requirements for entry to a given programme, as described above, in order to ensure that this programme will meet your professional training requirements. You will also get an opportunity to see the College and its adjacent Teaching Clinic. Selection will be based on evidence of the applicant meeting the entry requirements of the course, and their suitability for the course based on references and interview. Detailed information on course venue, dates, times and all other relevant particulars are provided once a place has been accepted. or you can ask for a CHM postal pack which will include a full-colour brochure about the college.